North Carolina Chief Justice Mark Martin said Friday he’s leaving the state’s Supreme Court after 20 years to become a Virginia law school dean. And a what a seat it is. Among other things, the chief justice gets to pick the administrator of The Administrative Office of the Courts (AOC) — the state court system’s governing / managerial body. Martin’s departure will leave Justice Paul Newby all by his lonesome as the ONLY Republican on the 7-member court. Congrats to Martin for getting a golden parachute out of that Wake County snake pit. But, for the rest of us, we can kiss 2010 and 2012’s promise of conservative reform of the court system GOODBYE. Elections have consequences, people. And boy have we seen some hellacious consequences in-state from 2016 and 2018. Um, that’s nice. But, if he does that, and loses, we’re completely shut out of the Supreme Court. If he wins, he’s chief justice over SIX Democrats. Unless somebody gets moving on recruiting some solid conservative candidates and equips them with a serious campaign structure. With Justice Newby running for Chief, his seat will be open. If Governor Cooper appoints any of the sitting Democrats as Chief, that will result in another seat on the ballot. There will be at least two, and possibly three, seats on the ballot. I’m amazed that you’re surprised by the recent decline in Republican fortunes (loss of veto-proof majorities, election of Anita Earls). One party rule (those same veto-proof majorities) leads to cronyism, corruption, a desire for centralized power (can’t trust municipalities to govern themselves), secret back room decision making, and really obvious efforts to radically reshape institutions. Combine that with a narcissistic buffoon as the face of the national party and I’m surprised the party didn’t lose its majority in at least one house. The RINOs in charge of the NC GOP no more cared about conservative judicial reform than they did conservative reform of the UNC system. Don’t believe anything a Republican tells you. I’ve been around them long enough to know. Right – the only “reform” they cared about was the release-the-convicts “criminal justice reform,” because it meant lots of money from the Koch brothers. Martin long had ambitions to run for governor. I guess he gave those up. If our legislative leaders had not screwed up the last two elections on the court, I wonder if Margin would have been more inclined to stay put. Legislative leadership is at fault for making the 2016 election not partisan and the 2018 a crazy “jungle” style election. Sticking with simple partisan elections would have given us a GOP court majority right now. Whoever came up with this idea should be hung from the highest tree. If you think the Supreme Court has gone to pot, go take a look at the Republican-controlled UNC Board of Trustees. That’s a real train wreck that no one wants to admit to. Why does Regent Law School want this weak RINO saboteur as their Dean??!! He’s screwing us over. And he wants to go there to teach his values to the next generation of lawyers??! Yikes! I thought they were a serious conservative institution. Guess not. Face it Republicans, the NC Supreme Court is lost forever. When Bob Edmunds and Mark Martin deep-sixed the judicial retention plan, not only did it defeat Edmunds, it also killed any chance for Barbara Jackson’s re-election. 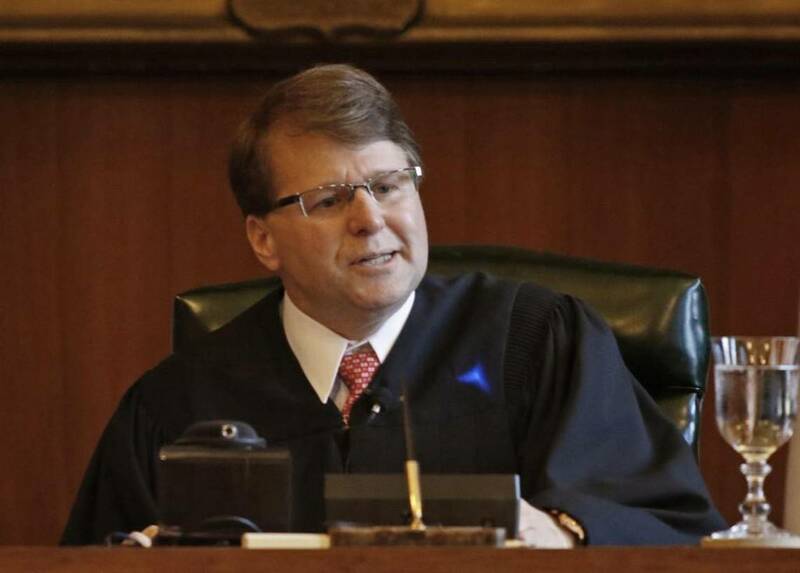 Paul Newby is now the sole remaining GOP justice on a very liberal Court. He will be nothing more than a sacrificial lamb for the Democratic wolves in 2020. This is RINO Republicanism at its worst. If Newby had any sense, he would run for something else or simply do something else. Why should he spend the next two years sacrificing his family, his time, and his resources fighting for just one seat on the Supreme Court after the RINOs have thrown it away? My glass is half full. Suppose the Democrats had written off the Supreme Court when it was 6-1 for several years? Polling consistently show that North Carolinians prefer conservative jurists, but judicial campaigns consistently fail to attract large donations. Judicial candidates who adhere to the Code of Judicial Conduct don’t promise to deliver certain outcomes. Donors seem to prefer the short term return on investment in legislative or executive campaigns. The superior and appellate courts are the long game with eight year terms. 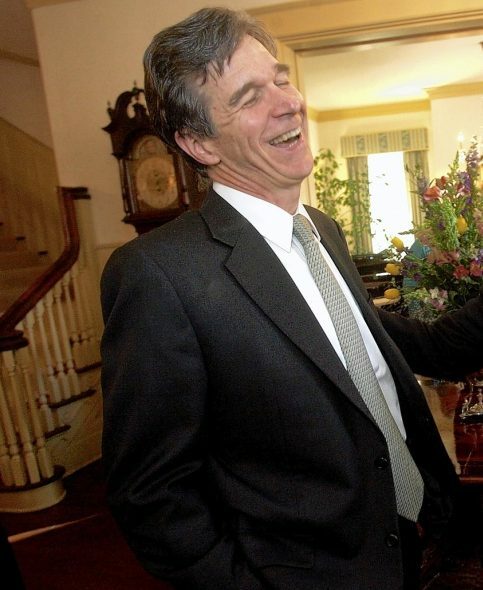 If Governor Cooper appoints a sitting Democrat, there will be an opportunity to pick up a seat in 2020. We didn’t know that during the 2018 election cycle, but this turn of events demonstrates the compelling reason that EVERY seat matters. And, don’t forget, if there’s a federal constitutional issue in a case that goes before our Supreme Court, the losing party can petition SCOTUS to hear the case. Isn’t it better for them to have the perspective of at least one conservative jurist to take into account? Barbara, I don’t dispute your points which have some validity–but the bottom line is the GOP should never have lost control of the Supreme Court and we shouldn’t even be having this discussion. Conservative voters delivered for the NC GOP, but the GOP leadership of this state has thrown most of it away. Similarly, I agree with Eric above who noted the GOP’s disastrous UNC Board appointments which have totally blown any opportunity to bring conservative reforms to the UNC system. You could say the NC GOP leadership has totally betrayed the hardworking grassroots Republicans who gave them victory in the first place. Why should the grassroots conservatives think it will be any different in 2020?